Suffice to say the idea never came to fruition but I decided to revive it for the new album and future projects. I still possess one relic of that idea from the old days in the form of a bracelet that was gifted to me by a colleague at the time and which I wore continuously throughout that period – including on the cover of the first album. 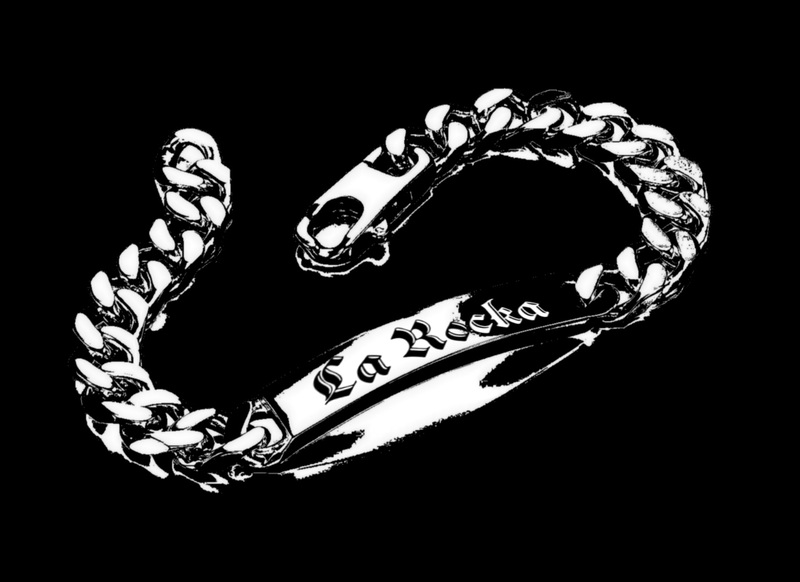 The bracelet is now the icon for the La Rocka Record label. With the label being in it's infancy and funded by no more than the air inside my bubble gum, things will take a while to get going. Nonetheless, if you would be interested in contacting me for any reason, please do so!